The Federal Communications Commission (FCC) is in Unredacted’s hot seat again for the second week in a row concerning its responses to FOIA requests on proposed net neutrality rollbacks. This time the FCC is under fire for telling a FOIA requester seeking information on an alleged DDoS attack the agency claimed disrupted its online public comment system that there were no responsive documents to the FOIA request because the agency’s “initial analysis on the day of the attack ‘did not result in written documentation. '” The alleged attack came after the FCC chair, Ajit Pai, proposed to “dismantle net neutrality rules” – rules that he’s previously said were a response to “‘hypothetical harms and hysterical prophecies of doom’ and that there was no real problem to solve” – and HBO’s John Oliver encouraged the public to comment on the proposed changes. 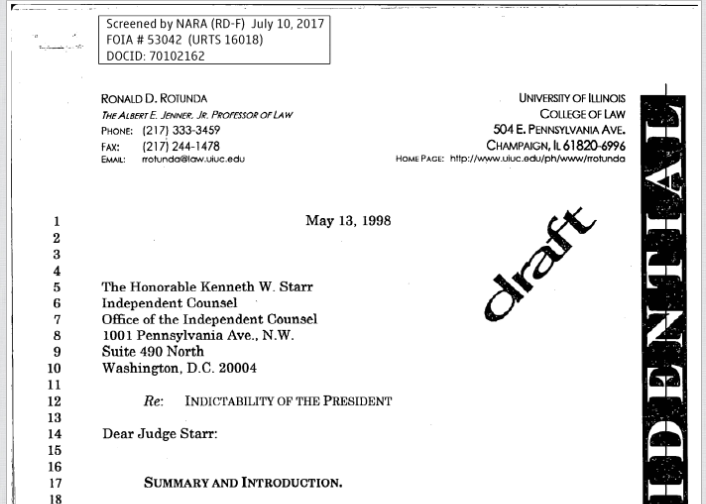 In response to public outcry from the National Security Archive and others, the U.S. National Archives (NARA) has released the CIA’s controversial proposed records schedule that, if approved, would let the agency begin destroying a large number of potentially important documents, as well as NARA’s own appraisal of the schedule. But NARA did not address the critical concerns or pause the approval as requested. 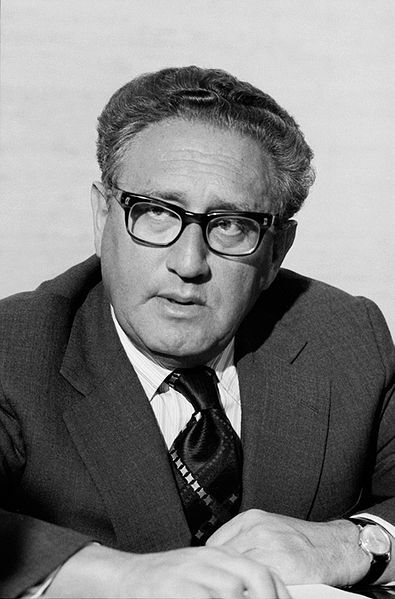 The records slated for destruction include classified information related to the Agency’s official actions abroad, investigative files from the offices of the Inspector General, Security, and Counterintelligence, and files relating to CIA assets (spies) that the CIA itself does not deem “significant.” A letter raising these issues and requesting NARA pause its approval signed by the National Security Archive, OpenTheGovernment, Defending Rights & Dissent, and Demand Progress is available here. NARA instead notes that it is “in the final stages of the records scheduling process with CIA to authorize the disposal after 30 years of various categories of administrative and program records.” Questions about the schedule and NARA’s appraisal should be directed to records.management@nara.gov. Mike Eckel, a senior correspondent for Radio Free Europe/Radio Liberty, is suing D.C.’s Office of the Chief Medical Exam officer in the D.C. Superior Court for failing to turn over an autopsy report of former Putin aide, Mikhail Lesin. Lesin was found dead in a D.C. hotel in November 2015 after an alleged feud with “Yuri Kovalchuk – the main shareholder of Bank Rossiya, which is closely tied to Putin.” Eckel’s FOIA suit also seeks correspondence between the medical examiner’s office, the FBI, and the State Department concerning Lesin’s death. Buzzfeed’s investigative news team has an explosive four-part series on extrajudicial Kremlin-linked assassinations here: Poison in the System; From Russia With Blood; The Man Who Knew Too Much; and The Secrets of The Spy in the Bag. Memos obtained through a FOIA lawsuit brought by the ACLU show that the National Security Agency and the FBI “violated specific civil liberty protections during the Obama administration by improperly searching and disseminating raw intelligence on Americans or failing to promptly delete unauthorized intercepts.” The memos chronicle violations reported to the Foreign Intelligence Surveillance Court and the DOJ’s national security division between 2009 and 2016. The Hill also found that “The new documents show that the NSA has, on occasion, exempted itself from its legal obligation to destroy all domestic communications that were improperly intercepted” through the creation of “destruction waivers,” even though the agency found “significant violation” of such waivers in 2012. This week’s #tbt pick details declassified telcons showing conflict during the Ford administration over, among other things, arms control, détente, and leaks. Senior Analyst Bill Burr says of the declassified transcripts, “These telcons show Kissinger losing his authority at the White House, trying to protect U.S.-Soviet détente from conservative attacks while waging Cold War in the Third World, trying to crack down on leaks, and maintaining ties with the disgraced former President Richard Nixon.” One telcon records Kissinger lamenting to President Ford about leaks on Angola, “almost every day I am in there crying” about them.